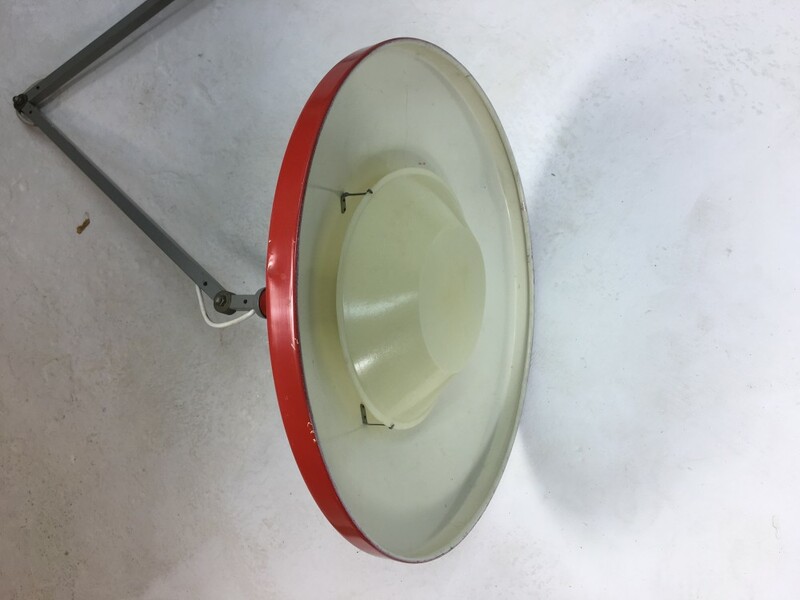 A true Dutch design Classic, this Gispen Giso 4050 designed by Wim Rietveld in 1953 quickly became known as the ‘panama hat’ lamp for its distinctive shape. 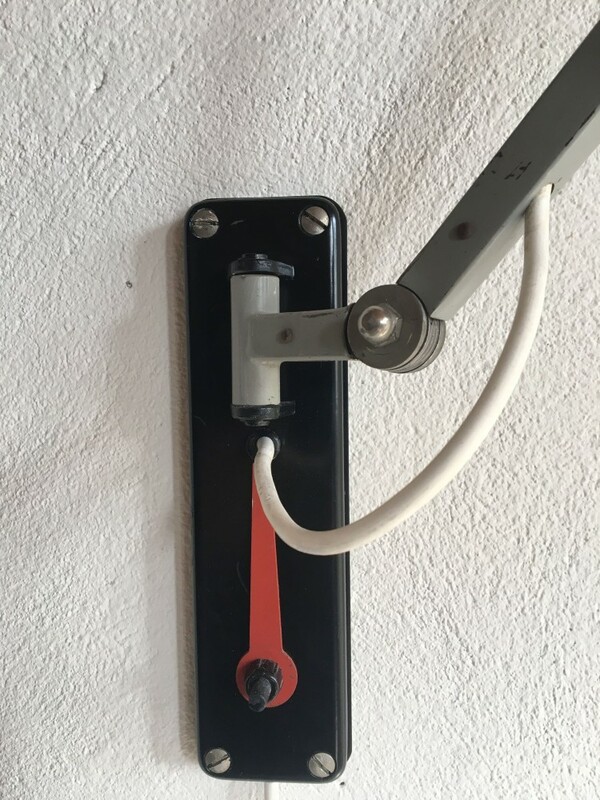 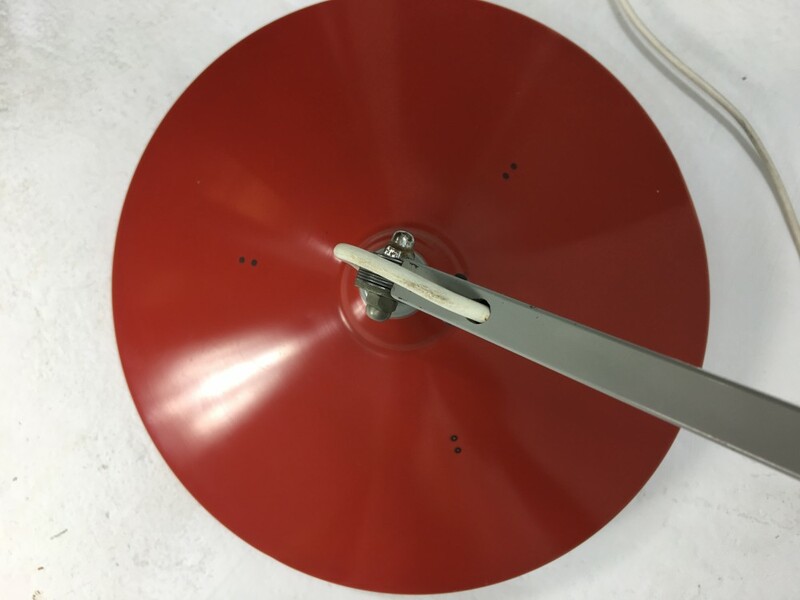 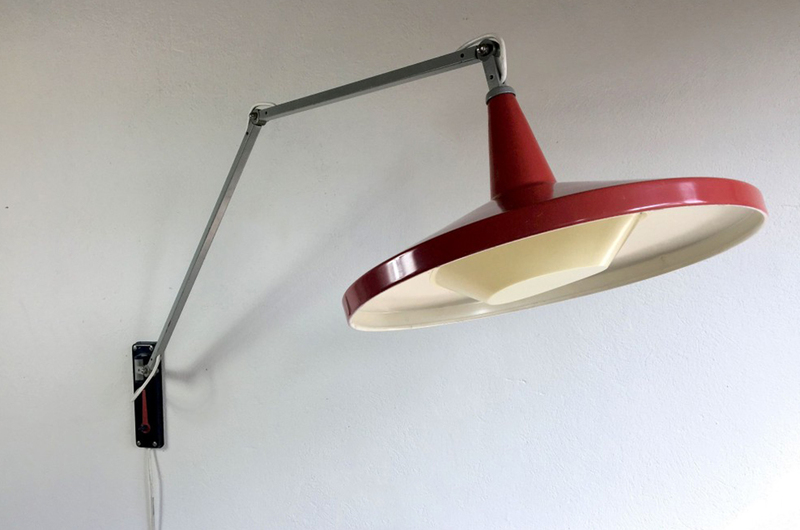 The arm has three points of articulation and the lamp includes a small red wrench integrated in the wall mount which can be used to tighten the joints or lock them in place altogether. 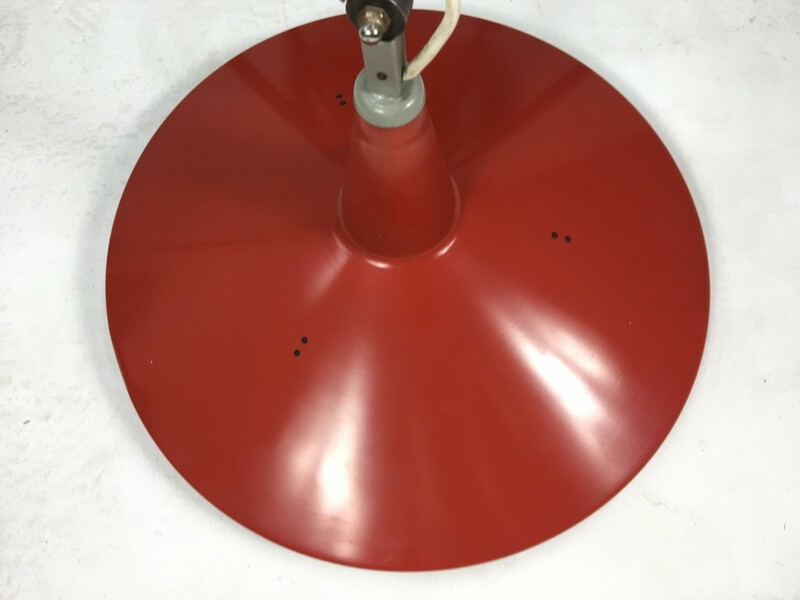 This particular crimson example is in very good shape and comes with the original light diffuser. 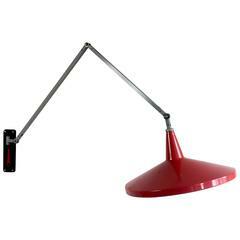 When fully extended the arm reaches 120cm out from the wall and the lampshade measures 40cm in diameter.